Most species of cockroaches will bundle their eggs in a egg case, called a ootheca. 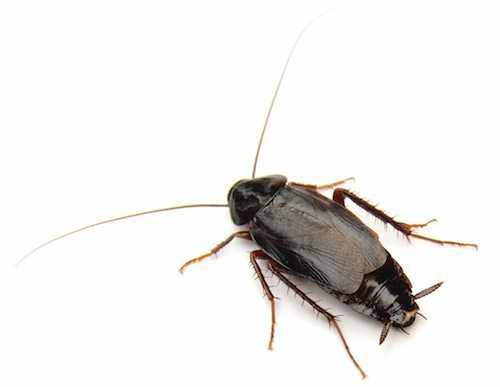 The female cockroaches will deposit these oothecas in various places around your home. As it sits, the protein substance surrounding the egg case hardens, protecting the eggs inside. One ootheca can have anywhere from 10-50 eggs inside, depending on the species. So, if you squish a female cockroach with your shoe, most likely, she has already deposited her eggs safely somewhere else. If she hasn’t deposited them anywhere yet, the eggs inside her wouldn’t survive the shoe squishing. So, squish away! Or if they suddenly sprout wings and fly away…..give us a call and we’ll take care of them for you. Fact or Fake: Writing Spiders are Good for your Gardens!